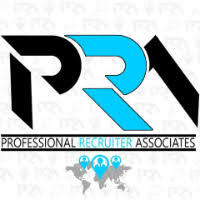 Import / Export Compliance Mgr. A world leader in transportation security is looking for an Import / Export Compliance Manager for its CT location. Determines the import/export classification of all products and technology at the homeland security site. Oversees the import and export classification of all products and technology. Establishes and maintains technology control plan. Interprets government regulations including the Arms Export Control Act (ACEA), the International Traffic in Arms Regulations (ITARS), Export Administration Act (EAA), export administration regulations (EAR) and the Office of Defense Trade Controls and U.S. Customs Service agencies. Act as a point of contact with for internal and external audits associated with export or import compliance. Liaison between the company site and U.S. Legal and Compliance for the purpose of obtaining and distributing guidance, regulatory. Interpretations, training procedures and policies, notices, correspondence and updates. Conducts annual self assessment for import and export compliance. Coordinates import and export shipment requirements including denied party screening, with shipping and receiving and other sponsoring departments. Ensures that employees are trained in procedures, processes to insure compliance. Interfaces with technology control officer and radiation safety officer. Prefer candidate who has had responsibility for EH&S and ISO 14001 and OSHA 18001. BS or higher in business or technical field or equivalent experience. Seven to 10 years related experience preferably in a manufacturing environment. Experience in compliance, regulatory and ISO business processes. Must be able to effectively communicate and train in various individual and group settings.